The best hair toner can fix most anything—even a bad hair dye job. However, getting the wrong or the bad hair toner brands and products because of lack of research can mean another trip to the salon for a hair fixing session. 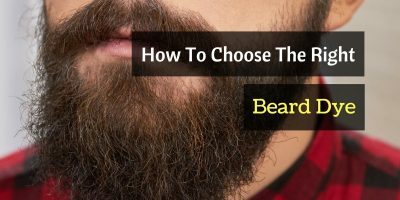 With sparse reviews and websites that deal with the aspects of hair toners, their specific effects, and their differences, it can be hard to make an intelligent choice. 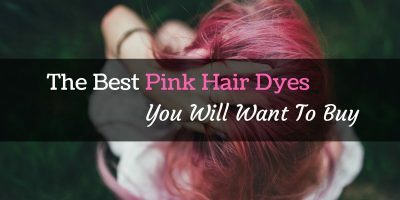 This article will review some of the best hair toners on the market, along with additional information that can help you decide on which product is best for your hair concern. Wella Co﻿﻿lor Charm﻿﻿ hair toners raise the standard with their brand new Liquifuse technology that enables the colors to last longer. They also have several shades of blonde that you can choose from. However, their bestseller is the Wella T18 Lightest Ash Blonde that gives the best icy white color among other toner brands. Schwarzkopf Professional Blonde Me hair toner has the Keralamination technology, which focuses on protecting the hair after color-treating. As such, they give smoother, stronger and silkier hair. It also retains color and maintains its intensity for at least several weeks. The Paul Mitchell Flash Finish hair toner is exceptional because it is one of the few natural hair toners on the market. It is ammonia-free so it can be used to condition the hair before color-treating. In terms of performance, they also have several shades to help in neutralizing unwanted colors. The Manic Panic Virgin Snow hair toner races past its competitors with its amplified color feature that enables it to give more intense colors to color-treated hair. It is also ammonia-free like the Paul Mitchell Flash Finish. Unlike other liquid toners, this one is a cream toner, which is friendlier to hair. Lastly, it does not require a developer before application. Last is the Loreal Colorist Secret Brass Banisher. As the name suggests, this hair toner specializes in removing the unwanted brassy colors such as yellow and orange tones after color-treating. It is also one of the few hair toners that give the most natural finish to hair. It is a fast-acting natural hair toner that gives results in as little as five minutes. This incredibly popular brand has several benefits. For one, it provides the best gray hair coverage, while offering multiples shades of blonde. Though the effects of every hair toner diminish if applied on a gray hair — which is why experts suggest color-treating before applying the toner — Wella Toners create vibrant colors on any shade of gray. Wella’s hair toners also give as much as 50% more conditioning than other brands upon application. As part of their Liquifuse technology, the product penetrates the hair shaft and conditions the hair on the inside. This technology is so effective that they say they can even take care of severely damaged and double processed hair. Wella toners are also known to coat the hair with lustrous shine. Along with taking care of color-treated hair, this toner is included in the list of the best toner for yellow hair. It neutralizes unwanted tones to give a more natural-looking color to the hair. The best part is this toner is also infused with natural floral fragrance to mask the smell of active chemicals. Wella toners are infused with the Liquidfuse technology that saturates, penetrates and infuses the hair with safe, long-lasting and fade-resistant hair colors. This Wella toner is quite economical, as it only requires a single cup of hair toner for every 2 cups of developer to give the perfect hair color. Wella toners give off arguably longer-lasting hair color than other brands. The Blond Me hair toner has quite an array of benefits. Unlike other toners, this one rejuvenates the after color-treating, making hair more resistant to breakage and split-ends. It also returns the hair to its pre-color-treating state to achieve a natural looking toned hair. This is certainly a fan favorite for people who are searching for the best toner for blonde hair. It contains a color correction spray that also removes the yellow and orange tones while maintaining hair vibrancy for weeks. It also gives shine to the hair to accentuate the lustrous colors after color-treating while taking care of the hair, especially the virgin surface. Schwarzkopf’s Blond Me hair toner has Kera-lamination technology, which aims to regain hair health after color-treating. Paul Mitchell Flash Finish has 5 colors that can neutralize or enhance color-treated locks. It also provides triple benefits for hair – it tones, conditions and shines hair that lasts up to 3 weeks. Paul Mitchell Flash Finish is also infused with fragrances that are gentle to the hair. It’s also very easy to apply. This hair toner can remove yellow tones in just about 10 minutes and can even be regarded as the best toner for orange hair. That’s admirable, considering Paul Mitchell Flash Finish is one of the few hair toners that can be used to condition the hair before color-treating. Paul Mitchell Flash Finish also removed the ammonia content that is a common ingredient among other hair toner brands. This toner is made of nutmeg butter and hydrolyzed soybeans - natural ingredients that do not damage sensitive color-treated hair. If you are looking for the best toner for bleached hair, Manic Panic Virgin Snow Toner is arguably one of them. It gives an icy white color finish to color-treated hair. This hair toner can be applied on several portions of the hair to give an ombre hair look, which will add dimension to your hairstyle. It’s also easy to apply. It’s gentle on hair as Manic Panic Virgin Snow Toner is made with natural ingredients. It’s also not tested on animals. It is also one of the few cream toners available. Cream toners are easier to apply than the more common liquid toners. Aside from that, Manic Panic Virgin Snow Toner is perhaps the only one that does not require a developer before application. Being able to create an ombre look makes this toner perfect for people who wants to achieve the retro glamour look. It’s quite economical, as the product itself is enough for medium to long hair without needing a developer. Brass Banisher could be the best toner for brassy hair, as it reduces brassy tones. It creates well-calibrated, lustrous, vibrant and shiny colors. Loreal Colorist Secrets is also a natural hair toner. Like other natural hair toners, it is gentle to sensitive, fragile, and color-treated hair. Unlike other hair toners that require at least 30 minutes to work, however, this product only needs 5 minutes. The Loreal Brass Banisher works excellent for ​almost our customers. Comes with a trusted brand, easy-to-apply instruction, this hair toner is really worth the price! ​Hair toners have been used for decades, yet so many people are still unaware of how they work. This section should help you understand hair toners before you use them. ​Hair color and hair toner may appear similar, but the basic chemistry of how both works is different. These two are used in succession to provide a hair color that looks natural. The primary difference between a hair color and a hair toner is that the former is often used with bleach so it could seep through the hair. Hair toners, on the other hand, only coat the hair to enrich the damaged parts of the hair caused by the harsh bleach and hair color chemicals. Without proper knowledge on the difference between hair colors and hair toners, some people are bound to use them interchangeably. Using these two hair products properly will give you the exact hair color and shade that you want. How do hair toners work? ​Hair toners are made to reduce, if not eliminate, the unnatural color pigments in the hair produced by the hair color. Orange, yellow, and any combination between the two often appear in the blonde spectrum of hair colors and can be corrected using the hair toner. The hair toner evens out the hair color and matches it with the texture of the hair to appear more natural. It also gives back the natural glow to the hair, which is often eliminated during the bleaching process. Follow the instructions: each hair toner product has a specific instruction that is unique to its chemistry and composition. Using more than the recommended amount or ratio may result to accidental and unwanted tones and may even irritate the scalp. Meet the required hair color: each hair toner can only promise a particular result if you meet the required hair color before application. Remember that hair toners do not work like hair colors; in fact, it relies on the latter for its effect. Have it done by a professional: while it is perfectly possible to use hair toners at home, it is better to have a professional colorist with the expertise in producing precise hair color to do your hair toning. Perceived color outcome: since hair toners do not work on their own, consult a colorist on which combination of hair color and hair toner will give the desired hair color and texture. Chemistry: Most hair toners are made of chemicals but are not as harmful as bleach. If you have allergies to these chemicals or prefer a safer alternative, you can use natural hair toners. Brand: The better hair toner brands usually give more accurate results and last longer. Some even offer gel-type hair toners, which are easier to apply than the liquid counterpart. ​While all these hair toners have unique features that earn them a spot on this review, several ones stood out because of outstanding features and benefits to the users. Three out of five hair toners on this list are made of natural ingredients, making them the best for severely damaged hair types. The other two, however, are known for their effectiveness in bringing the color and intensity that people look for in a hair toner. No wonder Wella Color Charm and the Schwarzkopf Professional Blond Me hair toners are the most popular among the five; they may be chemical-based, but they work like magic in removing the unattractive tones, resulting in a perfectly natural blonde finish. But out of these two effective hair toners, Wella Color Charm is still a favorite among hair toners. Its wide array of blonde shades, its time-tested and well-acclaimed effects in removing brassiness, and its ability to remove yellow and orange tones garners it the spot as the best hair toner.